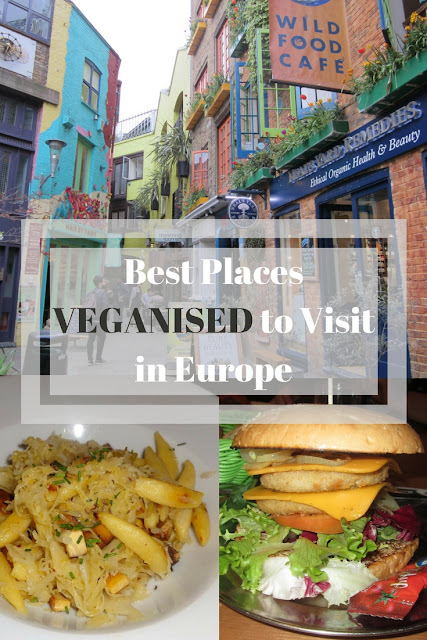 Europe is an exciting continent to travel for vegan food. There are so many countries and cultures crammed together. They all have their own vegan scenes with unique food to offer and some international vegan food staples too. Many European countries are known for their meat and dairy-centric diets but nonetheless, there is much to be discovered throughout Europe in the way of vegan food. So go to Europe, see the amazing sights and enjoy the food. Here to help, these are some of our favourite places in Europe and a little advice on what to see and where to eat. We spent around 5 days in Dublin and we fell in love with the place. The vegan scene seems to be pretty happening with events going on. Dublin has the best pubs and lots of live music. The atmosphere can't be beaten. When visiting we'd recommend checking out Cornucopia and getting the lunch special like we got in the picture below. It was reasonably priced and quite a substantial amount of food. It all felt healthy and tasted amazing. The potato salad was a standout dish. We absolutely loved visiting London. There's so much going on there. 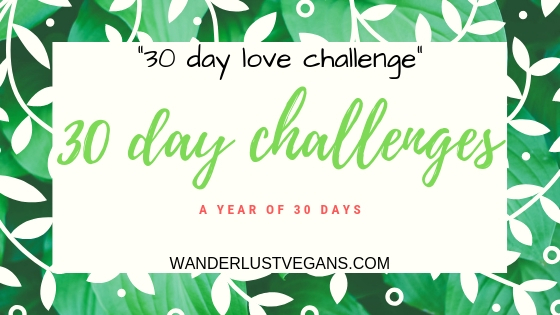 They have many delicious vegan restaurants and a huge vegan scene. 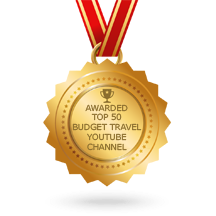 Depending on the time of year you go, it's quite reasonably priced to stay there. 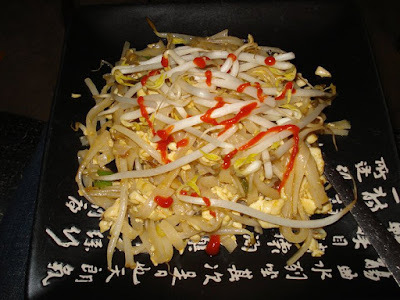 There are great neighbourhoods to explore with lots of vegan places to eat. Some of our favourite places are Brick Lane, Camden Market, and Soho. 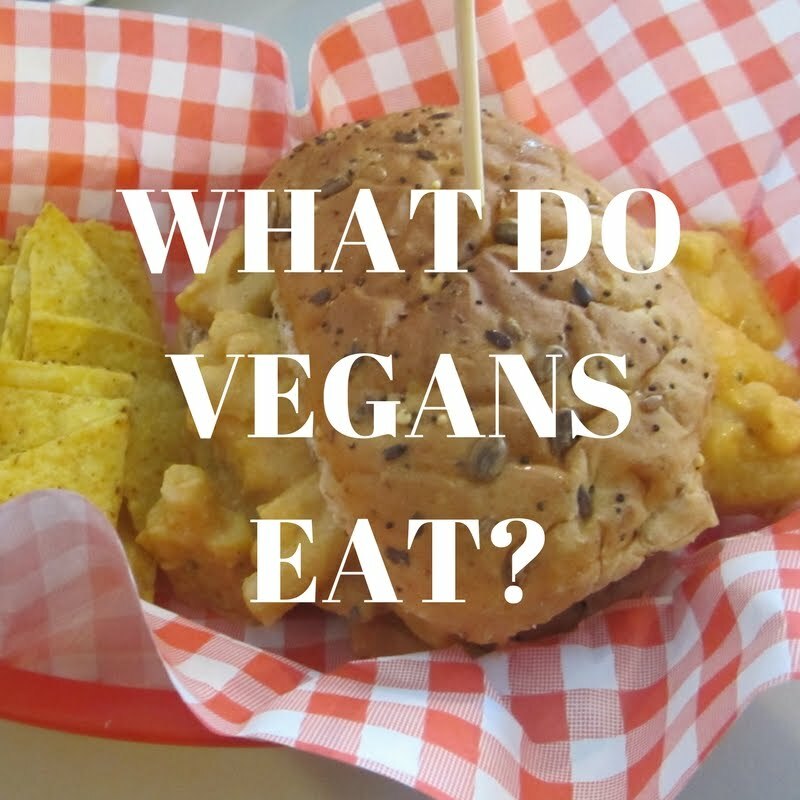 Check out Vx, Cookies and Scream, Mooshies, Club Mexicana and Cookdaily which are all vegan. There are more great places in London but too many to name here. See our Ultimate Guide to London to plan your next trip! This is a really unique city that is home to the Fringe festival, Edinburgh Castle, Mary's King Close, museums, art galleries, the Scottish Parliament, and the Royal Mile. We'd recommend going to the Auld Hoose pub for their Nachos, hiking Arthur's Seat and having a picnic in the Meadows on a nice day. 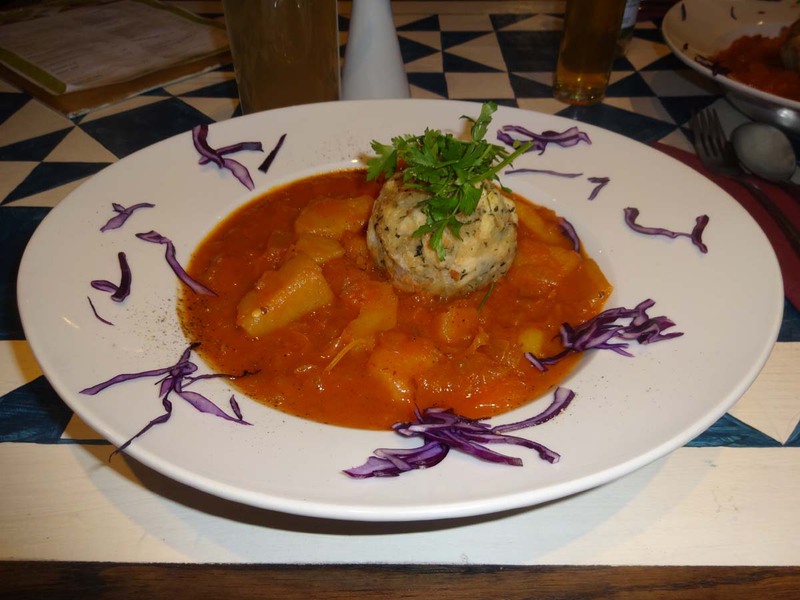 See our Vegan Guide to Edinburgh! Croatia is the inventor of the necktie. We kid you not. 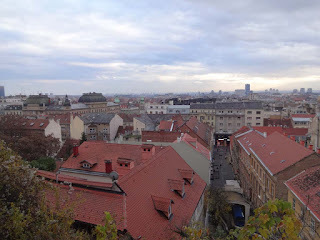 Zagreb was a fun place to be with a relaxed atmosphere and lots of places to explore. In Croatia, Dubrovnik gets a lot of attention since it is on the coast and a filming location for Game of Thrones. Zagreb is great too. There are lots of outdoor cafes all over and plenty of great food choices. We didn't search out specifically vegan restaurants there but we found stir-frys, baked potatoes and sandwiches that tasted very good. Plus everything was so reasonably priced there that it was shocking. One place we would recommend checking out is Art Park and walking through the nearby Grič Tunnel, a WWII era bomb shelter. They are both very cool sights. This is a city that is known for many things, the red light district, cannabis coffee shops, and the home of Anne Frank. We managed to find our way around, go on a boat tour of the canals, visit a bunch of vegan places (most notably Vega Bond), and overall have a fantastic time. Oh, and Sir Hummus, although surprisingly not a vegan restaurant, has some of the best hummus we've ever tasted. Amsterdam isn't known for vegan food but we did pretty well there, vegan-wise. See our Vegan Guide to Amsterdam. We had an incredible time in Gothenburg especially since the transit pass included the ferries to the surrounding islands. You can go island hopping all day if you want and explore all the cool islands. We found a handful of places with vegan food while we were there. We got appetisers at Blackbird Vegan Kok Och Bar and we got a top-notch vegan pizza from a bar called Kelly's. There is also a theme park in Gothenburg but it wasn't open when we were there. See our Vegan Guide to Gothenburg. It surprises a lot of people but it's common knowledge among vegans that Berlin is the vegan capital of the world. They have so many places it's ridiculous. We loved walking around the city seeing the cold war leftovers like the Berlin wall and Mauerpark as well as all the other history. We would recommend any Ramones Fans check out the Ramones Museum. They serve vegan food there too. For food, we would recommend the vegan Vietnamese restaurant Cat Tuong and of course the irresistible Brammibals Donuts. Honestly, there are too many great vegan options in Berlin to name. Go to Berlin and get cracking on trying them all. See our Vegan Guide to Berlin. Munich has the atmosphere you would expect from the Bavaria capital. We even saw people walking around wearing Lederhosen. The Christmas market was opening and it was pretty cold too so the atmosphere was perfect. The architecture is beautiful everywhere you go and seeing it all lit up at night was fantastic. Munich is best known for Oktoberfest, beer and sausages but don't worry because we had plenty of vegan food there. If you only go to one restaurant in Munich go to Bodhi for some veganised German Food. 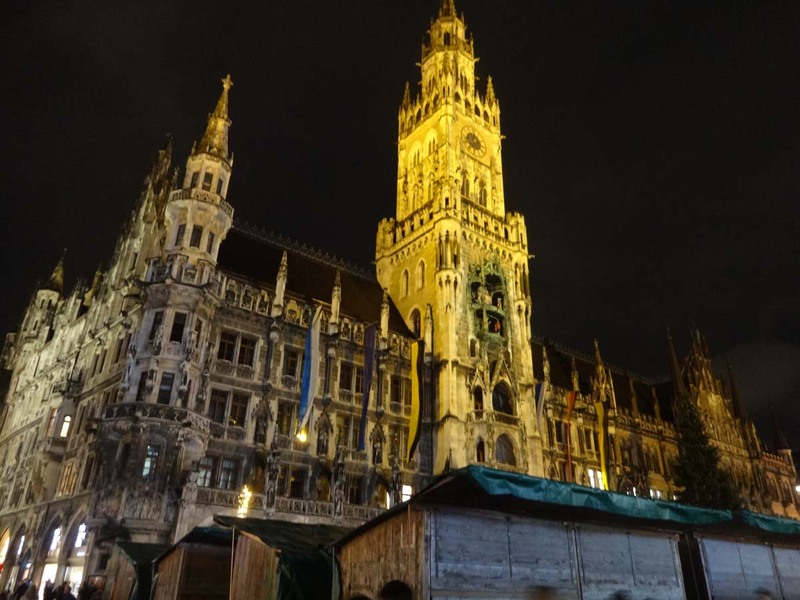 See our Vegan Guide to Munich. Unlike a lot of European cities, Prague wasn't bombed during WWII so there are many well preserved old buildings. The architecture there is really cool to see. Crossing Charles Bridge is a must as well. 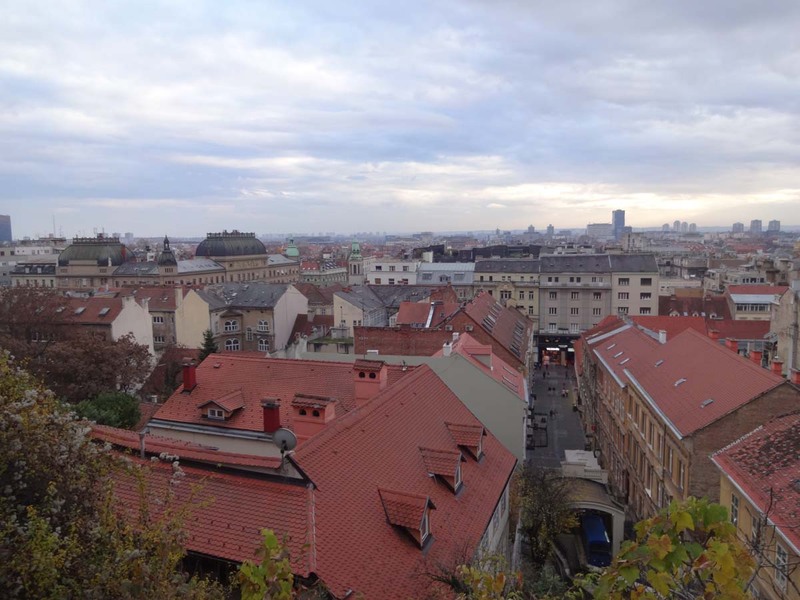 We'd recommend visiting Prague Castle, the Petřín Lookout Tower, and walking around Old Town. For food go to one of the many Loving Hut locations or check out Puro Bistro for lunch. Prague has the most vegan restaurants per capita in Europe by our calculation. See our Vegan Guide to Prague. Walking around Barcelona is a lot of fun, especially since you can see the works of the Barcelona architect Antoni Gaudí everywhere. All his buildings are bizarre and imaginative. It gives the city a lot of character. The most famous of his creations is the crazy looking church called the Sagrada Família. It's still under construction but it is his masterpiece. We recommend checking out La Rambla and also walking around the Gothic Quarter. While you're at it, go get some vegan bar food at CatBar. There you can listen to the music of a casual open mic while you eat. See our Vegan Guide to Barcelona. This is another place that is not known for vegan food yet has excellent vegan food available. The city is a pleasure to walk around. We did a lot of walking around the parks, the neighbourhoods and seeing the sights like the Temple of Debod. Be sure to stop by the bar B13 for some quality vegan bar food. Oh, and if you have time there is a number of world-class art museums in Madrid such as the Museo Nacional Centro de Arte Reina Sofía. Look out for the discounted visiting hours. See our Vegan Guide to Madrid. Holy moly is the food ever expensive here. Once you accept that you can enjoy Basel. You can't let that stop you from seeing this city. 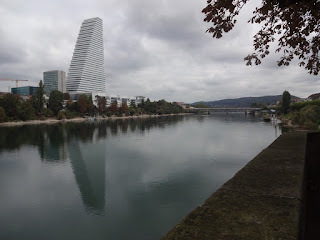 Of course, Basel is famous for art museums and the art fair called Art Basel. We had fun at the Cartoon Museum. They rotate their exhibitions so expect to see something different each time. On top of that, there is an incredible park called Merian Gärten that is very cool to walk around. Our public transit was included with our hotel and it made exploring the city very easy. We saw all sorts of places for no extra cost. Maybe it balances out the cost of the food. Foodwise we would recommend going to the vegetarian restaurant Tibits which happens to be very reasonably priced and delicious. See our Vegan Guide to Basel. It is such a beautiful city surrounded by mountains with a big fortress up on the hill. Going to the top of the Fortress and seeing the view was the highlight of our time there. Exploring the streets decorated with Christmas lights was awesome as well. It's a city known for the Sound of Music and Mozart but you don't need to know anything about that to enjoy it there. After a day walking around in the cold we went to GustaV for dinner where we enjoyed a vegetable stew with dumplings. We couldn't have asked for a more delicious and comforting meal to warm us up. What a great experience we had in Salzburg. 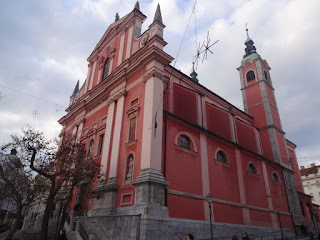 This is a fun little city to explore with interesting winding streets, a castle up on a hill, riverside cafes and tons of character. It's a great city to walk around and explore. The museums inside the castle are really nice as well so the price of admission is well worth it. Two places we'd recommend going for food are Loving Hut which has a delicious buffet and Organic Garden which has tasty smoothies and dessert. These are the best places to visit in Europe. Obviously, this is just from our personal experience and there are so many more places in Europe we never got to see. We really missed out on exploring eastern Europe but hope to change that someday. Anyway, we've had a lot of fun travelling around Europe, seeing the amazing places and seeking out the best vegan food available. We hope this list is helpful in planning a trip to Europe. Thanks for reading.